Ma Huateng's latest internal speech exposure: Tencent has to do what others can't do. In November 9th, Tencent Inc held 20th anniversary celebrating activities inside. All-weather Technologies has learned that in the Linktime communication link between members of Tencent General Office and employees, Tencent Board Chairman and CEO Ma Huateng, President Liu Chiping, one of the founders of Tencent and former CTO Zhang Zhidong have expressed their views on Tencent's strategic upgrading and future. 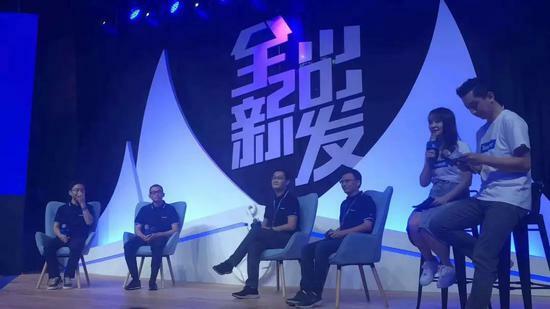 Tencent 20th anniversary Si Qing, Ma Huateng and other executives attended the exchange activities between the chief executive office and the staff. The following is a record of executives and employees of Ma Huateng and other companies. Put questions to:What is the difference between today's Tencent and what was originally imagined? Put questions to:Aside from revenue and market value, what kind of company do you want Tencent to become? Ma Huateng:The vision of Tencent is to become the most respected Internet company and improve people's quality of life. If further elaborated, the first is more consistent with the interests of the times and the country; the second is more integrated with all aspects of public life; and the third is to be able to develop with industry partners. Only by embodying the value of Tencent as an Internet platform enterprise at these three levels can we become a respected Internet enterprise. Put questions to:How to evaluate the industry development and performance of the company in the past year? Ma Huateng:Over the past year, we have actually found new opportunities in the challenges. For example, our third organizational restructuring is to see the opportunity for consumer Internet to upgrade to industrial Internet. I find that people in traditional industries especially like to hear the concept of industrial internet, and think that they can finally become the protagonists in the field of internet. Now various industries begin to transform and upgrade, and begin to enter the high-speed development stage of industrial Internet, which is also a very good position and opportunity for Tencent. Liu Chiping:At present, the challenges we face are cyclical, like the cycle of spring, summer, autumn and winter. But the foundation of Tencent has not been shocked, but has shown strong vitality in many ways. For example, Wechat apps are becoming a platform with great imagination. We have a leading edge in important game categories both in China and abroad. Video has exploded in the past year and gained a leading position in the industry. Wechat Payment has really created the basic transaction services that all Chinese people are using. 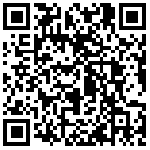 QQ's achievements also show that the key points of view are achieved. Tencent has strong grasp and explosive potential in information flow, small video and short video. If we keep exercising in winter and sink down to do the right thing, we will blossom more brilliantly when spring comes. Put questions to:In the process of the integration of industrial Internet and consumer Internet, what are Tencent's thoughts on creating value for society and human beings? Ma Huateng:In the process of convergence of consumer Internet and industrial internet, Tencent's priority is to focus on something that we can do and others can't. What other partners can achieve, they should also make the best use of their resources and strength, let the partners work hard, and we provide support. Like Wechat, we hope to provide a set of basic tools to all industries from the bottom of the small programs, public numbers, payment plus social advertising, cloud, which is our responsibility and obligation in the industrial Internet. As for data, we had a discussion before the organizational change. Everyone felt that data could not be freely accessed as the outside world said. Social communication and privacy are very relevant. Protecting data is more important than data access. We hope that in the future, no matter when consuming the Internet, industrial Internet, including connection services, how to protect user data reasonably and ensure users'privacy and security is our greatest challenge and our responsibility. With regard to basic science, a large number of scientists in China hope to improve the level of scientific research in China. The upgrading of industry, especially the upgrading of the Internet, comes from the breakthrough of basic science. Therefore, to promote the development of the whole industry and industry, the investment of basic science is very important. A few months ago, I communicated with some scientists and professors, who reflected that there are some drawbacks and pain points in the current technology award mechanism. For example, many awards are a lifetime achievement award, and it is icing on the cake, but no one is doing a good job in the snow. Scientists'salaries and abilities do not match each other. Business companies draw these people away through market-oriented salary mechanism, thus forming a talent vacuum. Even beyond this award, the Tencent Foundation wants to create a platform to encourage interdisciplinary, cutting-edge young scientists to expand beyond this award. Many young Post-80 scientists said they needed a platform or salon even more. I learned that they have a group of Wechat, gathered a group of post-80s interdisciplinary scientists, some students of biology, some of the brain, some of the computer, some of the materials science, they often do private gatherings, will collide a lot of sparks. Apart from the award, I think this is a very meaningful thing. In this context, Tencent, as a leading Internet enterprise, has a responsibility, hoping to contribute to the country and industry. Put questions to:How does Tencent create stage and battlefield for young employees? Liu Chiping:It is very important for a company to remain young in its business. I think young is more than just age and mentality. We also have many experienced people who are very young, highly devoted and passionate. But we want to give young colleagues opportunities to grow up, and we encourage young people to stand up for opportunities. Now, I'm going to make a formal announcement on behalf of the General Office at the corporate level. In terms of incentives, we will set up incentive schemes outside the existing system to motivate young people who have potential and contribute to the company's future. In the cadre system, we also hope that we must have mobility so that we can have a new position for the rising stars. Our cadre system will be further strengthened, requiring a certain proportion of managerial cadres to retire every year.